Established in 1969 as the Institute of Environmental Sciences, the IES began as a Master of Environmental Science (M.En.) degree to meet "the urgent need for a new program which is truly interdisciplinary in structure … and which contains a curriculum geared to train a modern environmental scientist equipped with the tools and philosophy to cope with new problems as they arise." 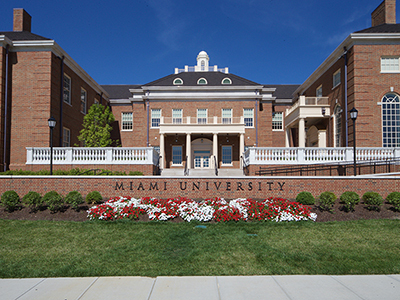 In 2010, the IES was renamed the Institute for the Environment and Sustainability to reflect its new role as an umbrella institute for undergraduate and graduate education and research on the environment and sustainability at Miami University.